The planner community goes through several stages of popular animals from unicorns to mermaids to panda bears. One of the more popular animals is the llama. I must admit I am not really a fan of the llamas and I don’t entirely understand the hype for this animal. I know that some groups refer to the llama as a drama llama. I still do not see the appeal, however, it is in popular demand. 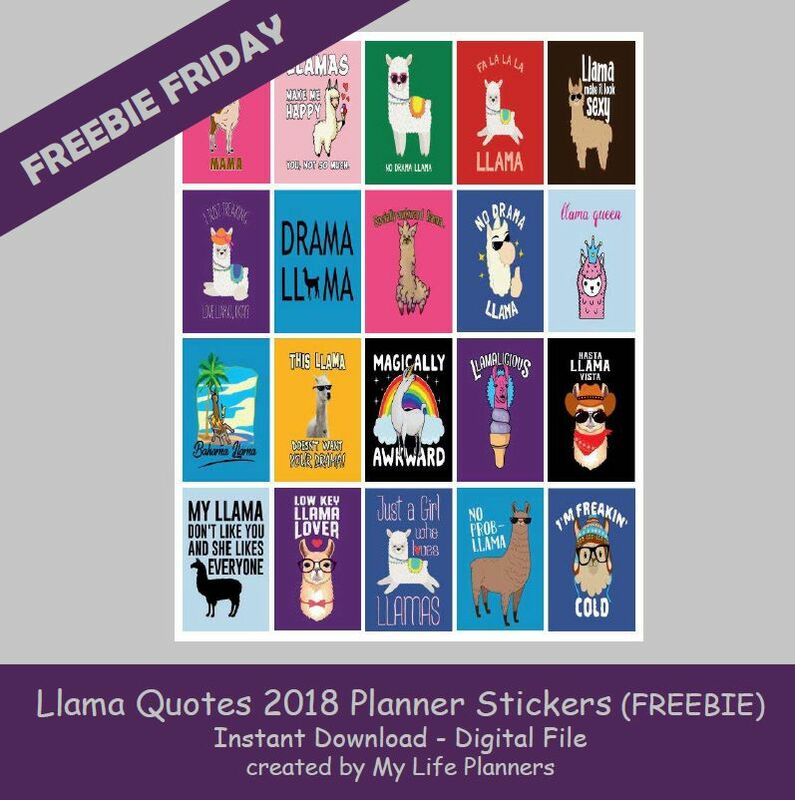 This week’s feature for Freebie Friday is all about the Llama. No need for the drama.